This citrus-inspired loaf pan joins our joyous lineup of beautiful baking pans, all designed to make it simple to create striking-looking cakes at home. These Nordic Ware pans are designed to leave precise, well-defined patterns on your finished cakes. The durable cast aluminum pan offers superior baking performance. 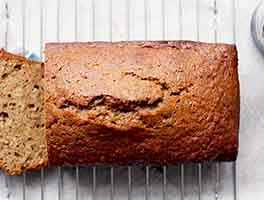 The pan's shiny finish reflects heat to prevent over-browning of the exterior of your cakes. 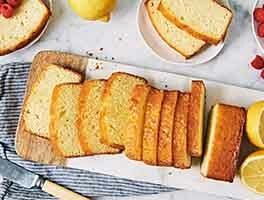 Non-stick coating helps your cakes release cleanly from the pan. Minneapolis' family-owned Nordic Ware company makes this pan right here in the USA. 10¼" x 5¾" x 3¼"
6-cup total capacity; 4¾-cup bakeable capacity. 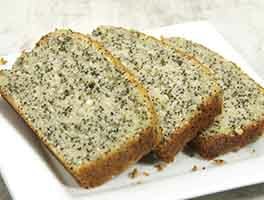 Typical 9" x 5" quick bread recipes will fill pan with a little extra batter left over – perfect for a few extra muffins! Refrigerate your batter before baking and tap it against the countertop to remove air bubbles. This will help achieve a more precise design on your finished cakes.